Forests are significant carbon reservoirs. Globally, around 13 million hectares of forest are destroyed each year, releasing large quantities of greenhouse gases. Avoiding deforestation and forest degradation can make a significant contribution to reducing greenhouse gas emissions and mitigating climate change. Laos is rich in natural resources such as water, minerals and forests. While it still has one of the highest rates of forest cover on the Southeast Asian mainland (47 per cent), the forests have nevertheless diminished dramatically in recent decades, having fallen from an estimated 70 per cent of the overall land surface in the mid-1960s. Among the causes of forest loss are unsustainable logging practices, shifting cultivation and infrastructure development. Its consequences include extensive greenhouse gas (GHG) emissions, biodiversity loss, the lower availability of forest products and a decline in the environmental benefits that forests provide (water and soil protection, etc.). 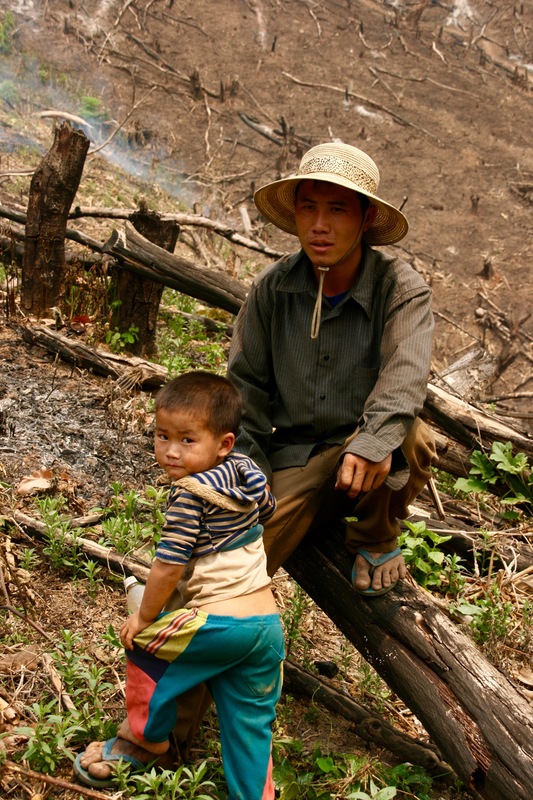 The people worst affected by these developments are those in the poorest sections of Lao society, especially women and ethnic minorities who depend on the intact forests for their livelihoods. oping countries to reduce their emissions from forested lands and to invest in low-carbon paths to sustainable development. ‘REDD+’ goes further than REDD alone by including the role of conservation, the sustainable management of forests and the enhancement of forest carbon stocks. In short, it involves various activities using financial and in-kind incentives to encourage people to stop cutting down forests. Stakeholders in forest conservation (the rural population, forest authorities, private sector) benefit from improved conditions for sustainable forest management and REDD+ measures. This is underpinned by the appropriate policy and institutional frameworks, and initial implementation strategies at national and sub-national levels. The ‘Climate protection through avoided deforestation’projectwas launched in 2009 to support the Lao Government in its readiness for the REDD+ process at national and sub-national levels. In the programme, GIZ isproviding policy advice and capacity development measures to support the creation of a national and provincial REDD+ framework,as well as REDD+ planning processes. It is testing local-level mitigation in two districts in Houaphan province, and is also developing pro-poor REDD+ mechanisms and sustainable financing models.GIZ is cooperating closely with the financial component of the programme, which is funded by the German Government through KfWdevelopment bank. is among the main providers of bilateral incentives within the context of REDD+, funds derived from results-based mechanisms are expected eventually to replace this support. 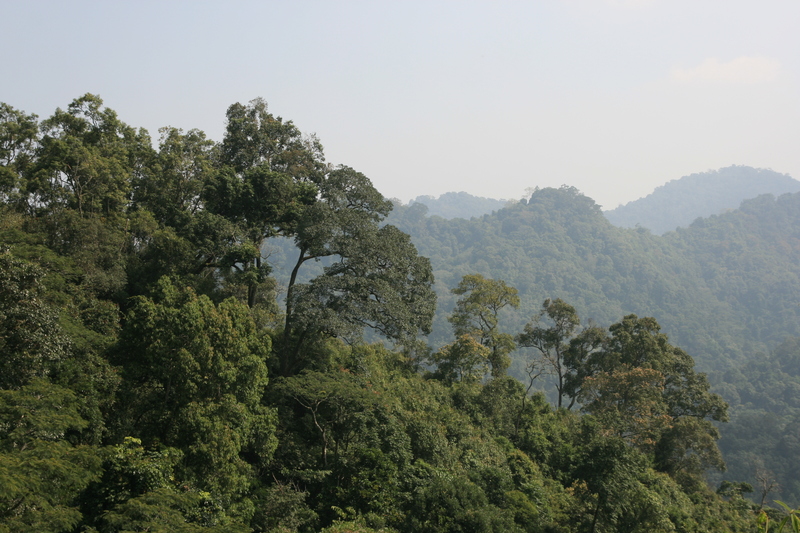 Baseline studies on the current state of forests in Laos have been completed, including an assessment of technical and financial REDD+ feasibility and a detailed study on the drivers of deforestation and forest degradation in Houaphan province. Support was provided in the form of capacity building measures for the establishment of REDD+ institutions at both national and sub-national levels. The National REDD+ Taskforce, as well as he REDD+ Office and REDD+ Division have started their operations. Six REDD+ technical working groups have been established. Support was provided for the forest law revision process to establish the legal framework for REDD+. In this, the Ministry of Natural Resources and Environment was the lead organisation, being responsible for REDD+ and the overall policy framework. A needs assessment and human resource development plan have been completed in order to identify capacity requirements in the forestry sector. All the departments involved in forest-related matters (MONRE and MAF) contributed to this. The creation of REDD+ institutional structures in Houaphan has begun, as has the provision of special REDD+ training for the partners’ staff (technical departments of MONRE and MAF). A provincial REDD+ Taskforce and Office have been established with the support of CliPAD. The programme has carried out training courses and developed concepts and procedures for the establishment of reference levels for emissions (as a baseline for REDD+). It has also developed monitoring, reporting and verification systems at national and sub-national levels. A base-line map of forest cover has been drawn up, and a biomass assessment was completed for the calculation of possible emission reductions from avoided deforestation in Houaphan province. In close cooperation with the partners, the programme has developed a concept with guidelines and materials for the implementation of the FPIC (free, prior, and informed consent) approach. This will ensure the active participation of local communities in REDD+ mitigation measures through village forest management agreements. A guideline on village forest management planning has been developed with the district, province and national level government staff. A concept for village forest management agreements has been produced, providing the basis for sustainable management practices that will allow villagers to benefit financially from their efforts to protect the forests and reduce emissions. This takes into consideration the necessary safeguards as well as the FPIC approach. Mitigation activities have been introduced, such as forest law enforcement and agriculture extension measures in selected pilot villages. Meanwhile, the FPIC approach has been conducted in a number of villages, thereby ensuring that local communities are aware of the implications of REDD+ and consent to its implementation. In several pilot villages in the two districts of Houaphan province, village forest management plans and agreements have been completed. The programme provided support for the preparation of the Emission Reductions Program Idea Note (ER-PIN), which covers six provinces of northern Laos, including Houaphan. This has since been accepted into the pipeline of the World Bank’s FCPF Carbon Fund. CliPAD supported Houaphan province in preparing the Provincial REDD+ Action Plan (PRAP) which outlines Policies, Actions and Measures (PAMs) to reduce emissions from deforestation and forest degradation as well as sustainable management of forest carbon stocks. As our programme ‘Climate Protection through Avoided Deforestation’ (CliPAD) supports local communities in Houaphan province in developing sustainable practices of natural resource management and creating a path to alternative income sources, mainstreaming gender in these activities ensures that women gain an equal amount of knowledge on these practices. Women in target villages are strongly encouraged to join a number of project activities. This is to ensure that they are well informed and have equal rights to men. Specifically, through sustainable forest management, the project directly influences the way women collect non-timber forest products and firewood. With the close cooperation between FC and TC modules, CliPAD also supports village development funds that can be accessed by women, in order to finance their activities, for example loans for weaving. 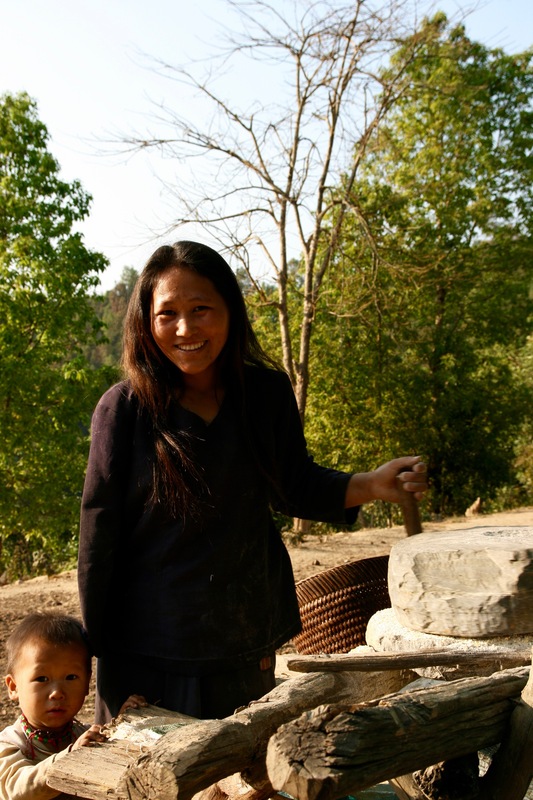 All of these show that gender roles are important for the management of forest resources.